Grilling is no longer just a pastime, but an integral part of the North American lifestyle. 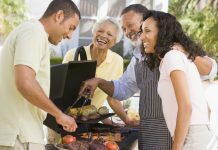 Seven in 10 U.S. adults own a grill or smoker, and in Canada, ownership is 8 in 10. 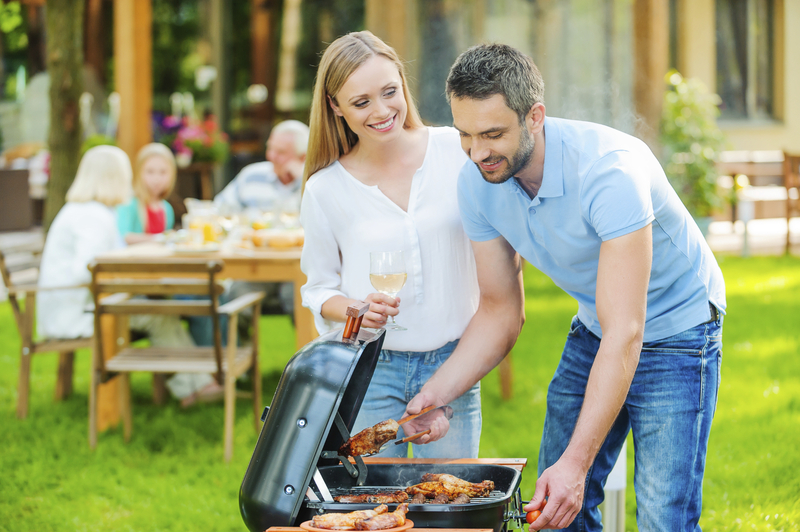 According to the Hearth, Patio & Barbecue Association (HPBA), summer holidays and weekends continue to spark the highest grill usage: 73% of consumers grill on July 4, 60% on Memorial Day, 58% on Labor Day, and 45% on Father’s Day. However, food poisoning peaks in the summer months when warmer temperatures cause foodborne bacteria to flourish. 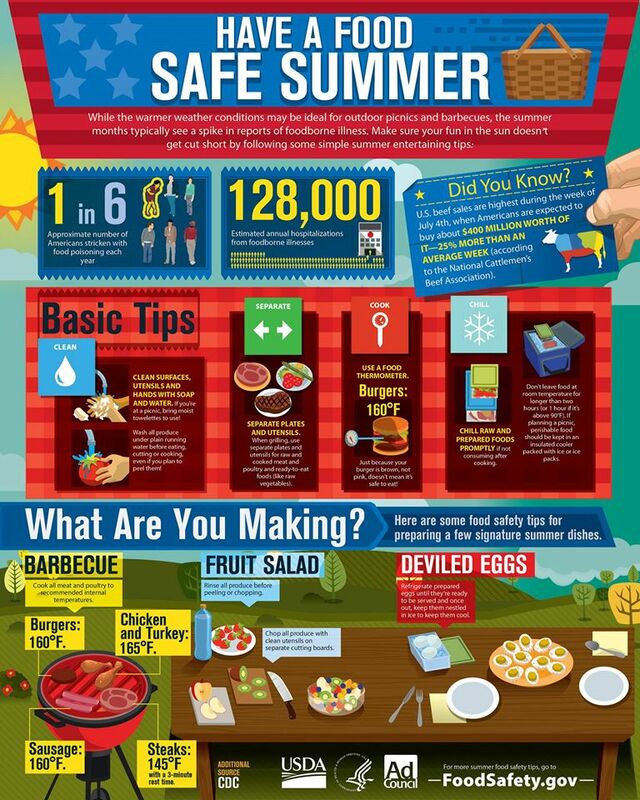 Follow simple food safety steps for an enjoyable summer grilling season. 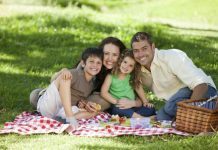 Moreover, eating outdoors in warm weather presents a food safety challenge. 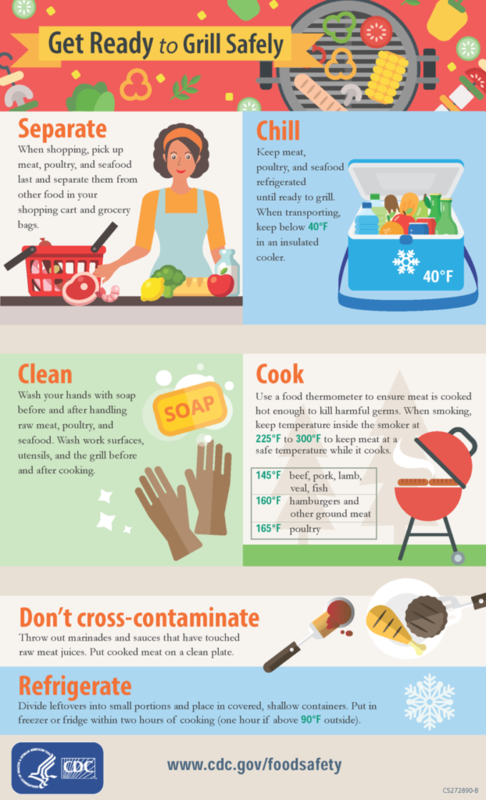 Bacteria in food multiply faster at temperatures between 40°F and 140°F, so summer heat makes the basics of food safety especially important. 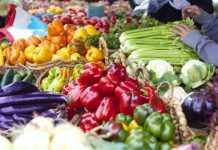 Risk: Food poisoning peaks in the summer months when warmer temperatures cause foodborne germs to flourish. Tip: Check foods on recall list when planning your grill fest. When shopping, buy meat and poultry last, right before checkout. Separate raw meat and poultry from other food in your shopping cart. To guard against cross-contamination, put packages of raw meat and poultry into individual plastic bags. Risk: Dirty hands and prep surfaces can carry germs. Tip:Wash hands, kitchen work surfaces, and utensils with soap and water immediately after they have been in contact with raw meat or poultry. Also, fill a spray bottle with water and one tablespoon of bleach to keep handy to wipe off surfaces and utensils. Risk: Wire bristles from grill cleaning brushes may dislodge and stick into food on the grill. Tip: Use a moist cloth or paper towel to clean the grill surface before cooking. If you use a wire bristle brush, thoroughly inspect the grill’s surface before cooking. Risk: Raw meat juices can spread germs to cooked food. Tip: Place cooked meats on a clean plate and discard marinades and sauces that have come in contact with raw meat juices. Risk: Meat and poultry may brown quickly and appear done, even when not. Tip: Use a meat thermometer to ensure grilled and smoked meats have reached the recommended internal temperatures to kill harmful germs. Keep leftovers in an insulated (40° F or below) cooler while transporting. Refrigerate leftover meat and poultry within two hours of cooking or one hour if above 90° F. Frozen leftovers should keep for about four months. Divide leftovers into smaller portions. Refrigerate or freeze in covered shallow containers for faster cooling.